Every two years CSAC Institute offers newly elected county supervisors this extensive seminar designed to provide them with background foundation on the myriad of county policy issues, the basics of county government, and the role of county supervisor. 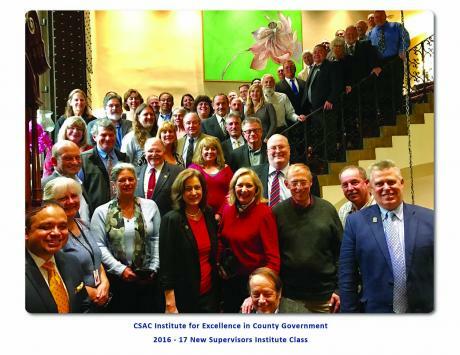 The New Supervisors Institute is conducted by the CSAC Institute for Excellence in County Government. It offers a unique opportunity for new county supervisors to meet their colleagues and learn important information and protocols to help them better understand the requirements and environment of their new office. The 2018-19 New County Supervisors Institute began on Sunday, November 25, 2018 in San Diego. Detailed information is available: New Supervisors Institute Info Sheet.